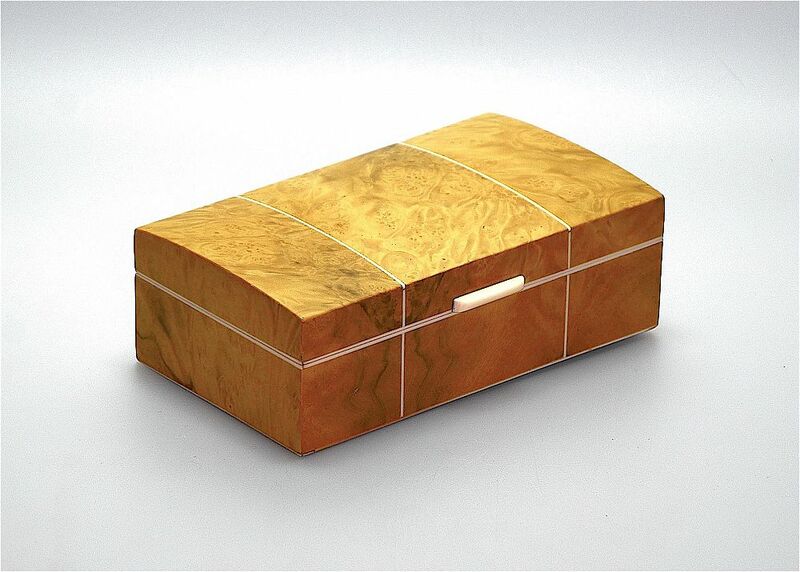 This is a beautiful Art Deco box. 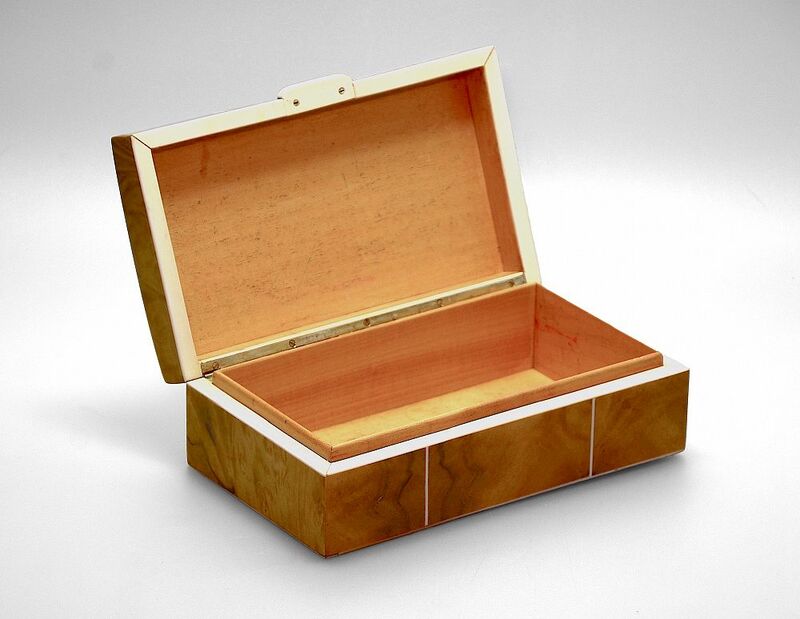 Rectangular in shape with a slightly domed top it is made of pear wood veneer with 2 thin strips of ivory inlaid into the box running from the base of the back to the base of the front. There is a very thin strip of ivory running around the whole base and the bottom of the lid and the top of the bottom part of the box. The "clasp" is also ivory.